For fans of Twin Peaks, the cult American TV series created by writer Mark Frost and director David Lynch, the annual Twin Peaks festival is definitely the highlight of the year. What you’re looking forward to most about the official Twin Peaks UK Festival? Will it be your first visit to the UK? I came to London for the first time when I was 14. My father was a drama teacher at a college in San Diego and took students to London to see theatre. As a kid, I tagged along a few times. 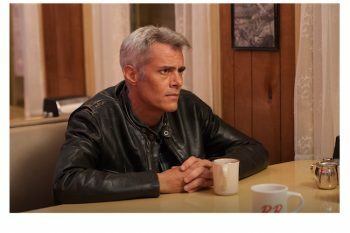 What was it like performing in Twin Peaks: The Return? I love part 8 of the 3rd season. It is an amazing piece of work by David. And Mark and David on the writing end. 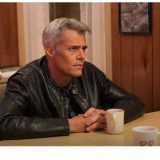 I’m just doing some re-shoots on a little film called Premise; Framing John Delorean is coming out soon and a film about early onset Alzheimers is being finished up as I write this. Twin Peaks UK Festival runs from September 29th-30th at the London Irish Centre and Camden Square Gardens, 50-52 Camden Square, London NW1 9XB.